Beautiful new construction (still in process) on ICF (insulated concrete form) foundation large open spaces, top quality amenities, and full walk-out basement in an excellent location. 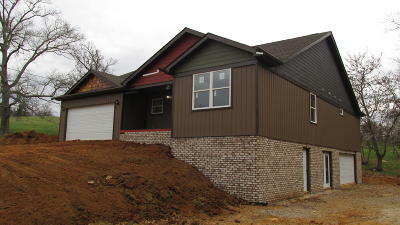 Granite countertops in kitchen & bathrooms, 42'' kitchen cabinets with crown molding. Large center island in kitchen with high-end materials all around. 2 car attached garage on main & 2+ car extended length garage in basement. All electric appliances. Utility water. Additional lots available beside & behind home. Taxes yet to be determined.